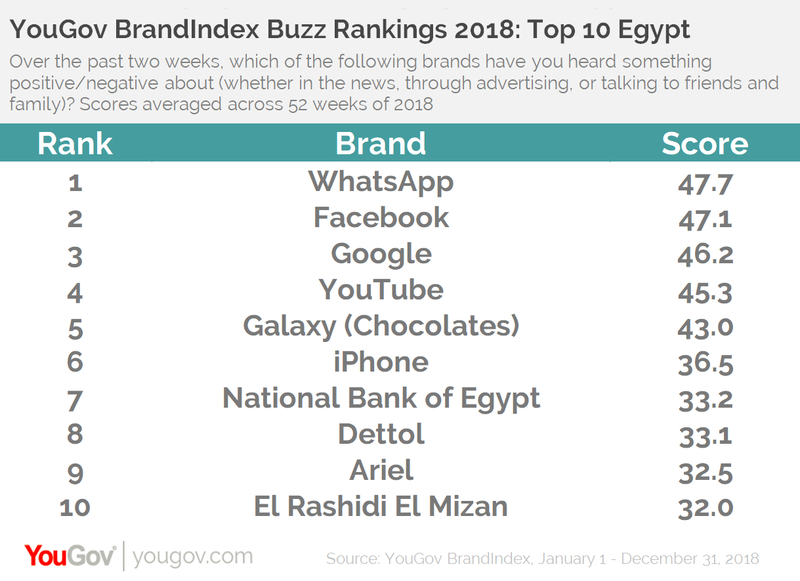 on January 22, 2019, 10:19 a.m.
WhatsApp dethrones Facebook to become the most talked about brand in Egypt, according to the YouGov BrandIndex Buzz Rankings 2018. Google and Galaxy (Chocolates) climb up to third and fifth, respectively, from fourth and sixth last year. The National Bank of Egypt and El Rashidi El Mizan remain in seventh and tenth position, respectively, this year. YouTube, iPhone and Ariel have all seen their ranks drop by one position this year, to fourth, sixth and ninth, respectively. Meanwhile, Dettol makes an entry into the list in eighth place. 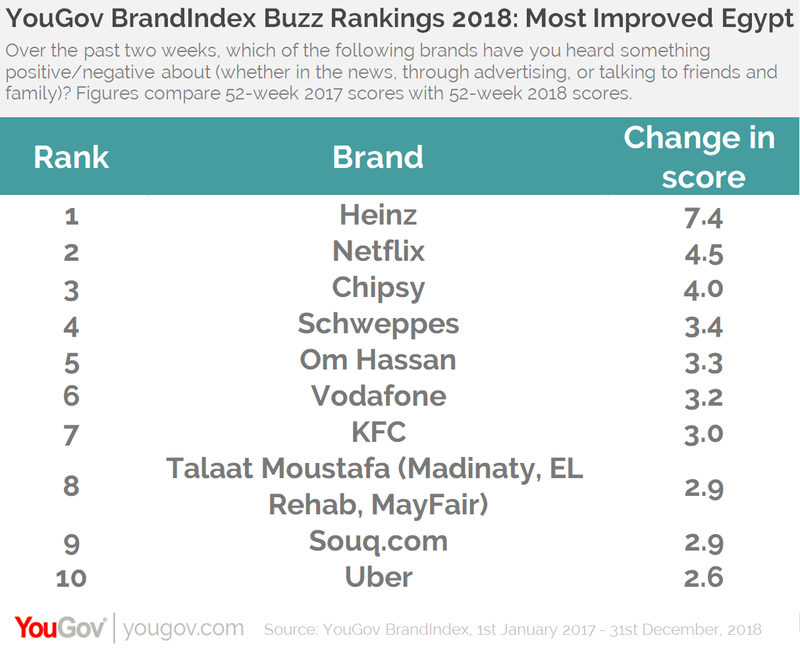 YouGov BrandIndex has also released the ten “most improved” brands of the past year and Heinz tops the list with a rise of +7.4 points in its Buzz score, going from +5.1 last year to +12.6 this year. Netflix is the second most improved brand with a +4.5 rise, and Chipsy (+4.0), Schweppes (+3.4) and Om Hassan (+3.3) make up the rest of the top five. The 288 brands in YouGov BrandIndex were ranked using the Buzz score which asks respondents, “If you've heard anything about the brand in the last two weeks, through advertising, news or word of mouth, was it positive or negative?” Scores are net scores, calculated by subtracting the percentage of negative responses from the percentage of positive responses for each brand.